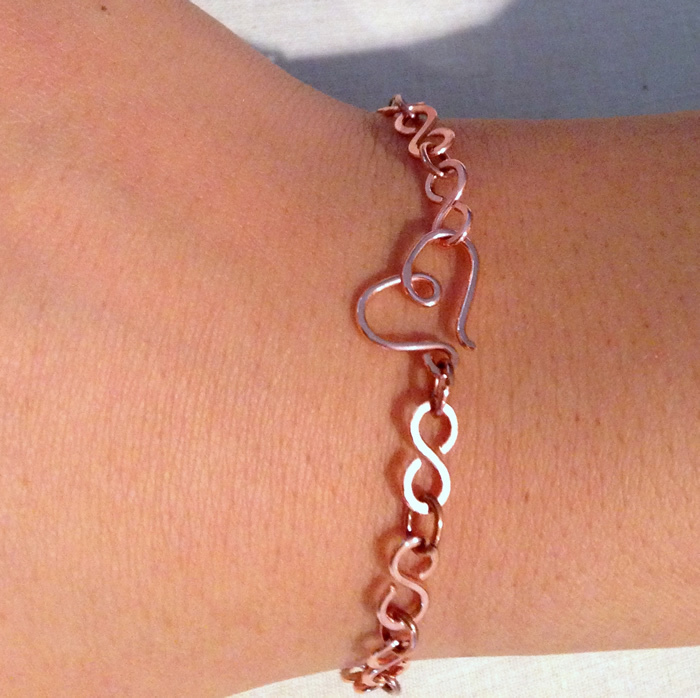 As promised, here is a tutorial to make the heart clasp from my infinity link bracelet. I think this is a beginner project, but it may take you several tries to get the heart to be the size and shape you want. My advice is to not sweat it and make several until you are happy with them. You will always find a project that needs a little love, so make a few extras! The only technique you need to know to make this clasp is how to make open wire loops. 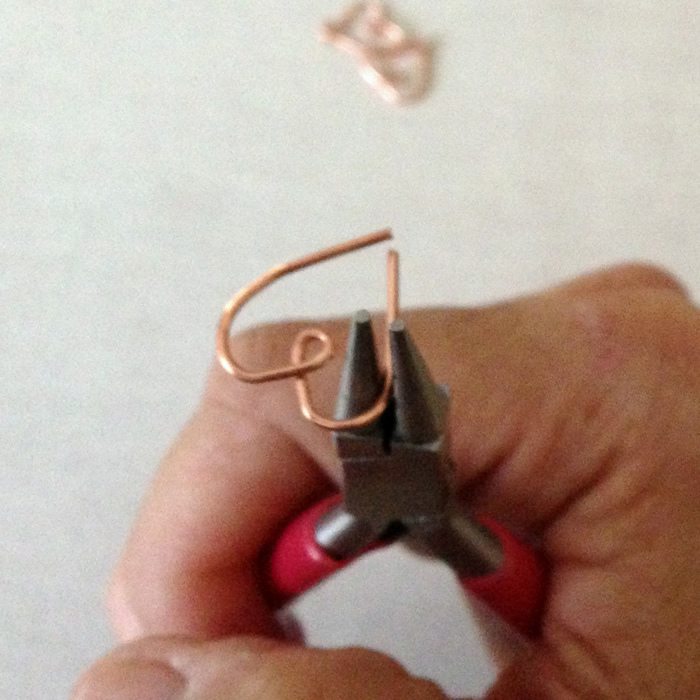 As part of this tutorial, you will also learn to shape the wire with your round nose pliers. 1. 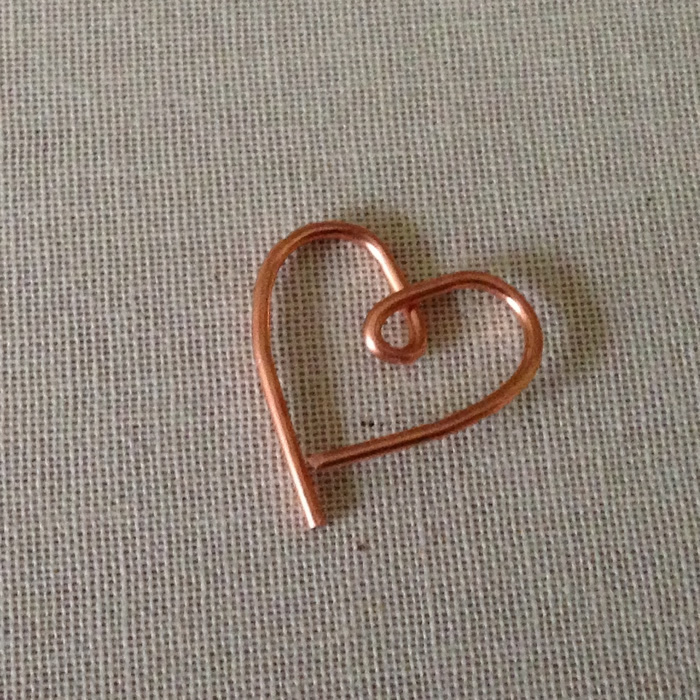 Cut a piece of wire for your heart clasp and file the ends smooth using the emery board or file. 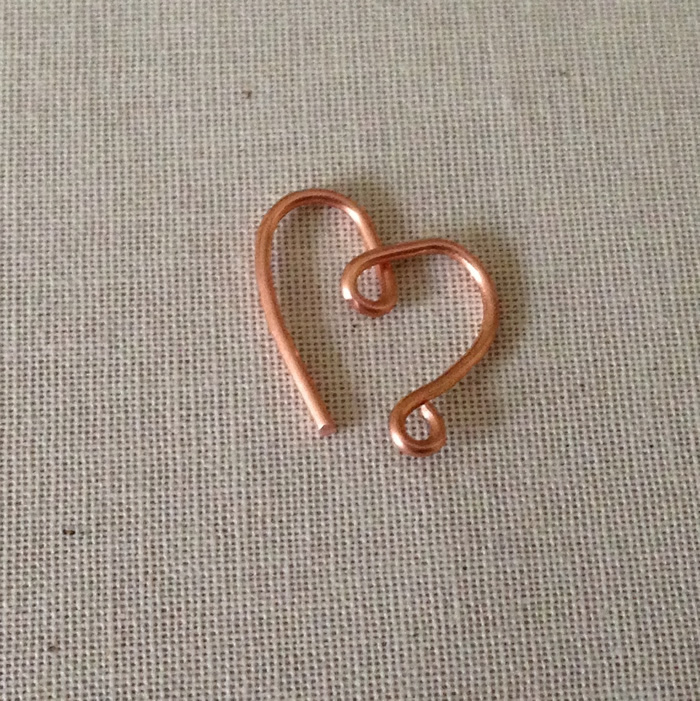 Each of my clasps use 2 3/8 inch or 60 mm of 18g copper wire. You can use a larger piece of wire if you are more comfortable trimming excess or if you would like a larger clasp. My finished clasp dimensions are about 15 mm x 15 mm or 5/8 x 5/8 inches. If you would like a larger clasp, I recommend using 16g wire. It will be harder to form the heart shape, but the thicker wire will be needed to make a clasp that will not bend out of shape. 2. Grasp your wire somewhere in the middle with your round nose pliers. 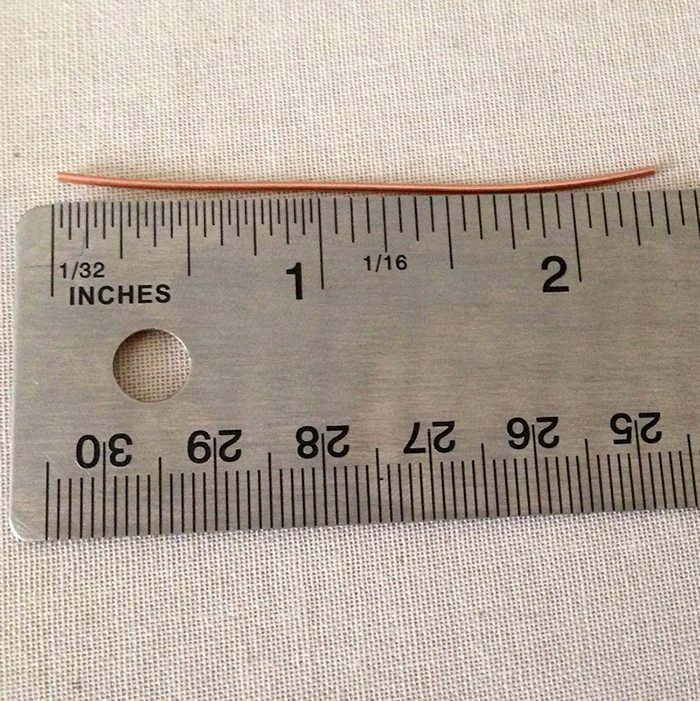 I don't measure, just eyeball it - but if you could measure it if you want. 3. Bend the wires towards each other to make a U shape. 4. 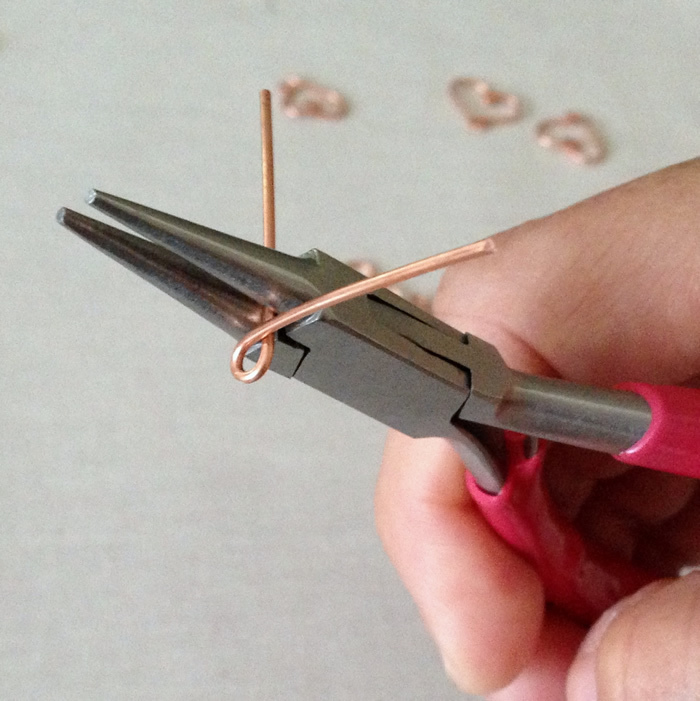 Continue wrapping one wire around the pliers until you have crossed the wires and formed a loop. The crossed wires make a little more than a right angle. This is the top of the heart, so you want to make sure there is a V formed by the crossed wires - otherwise the top of your heart will be flat. 5. 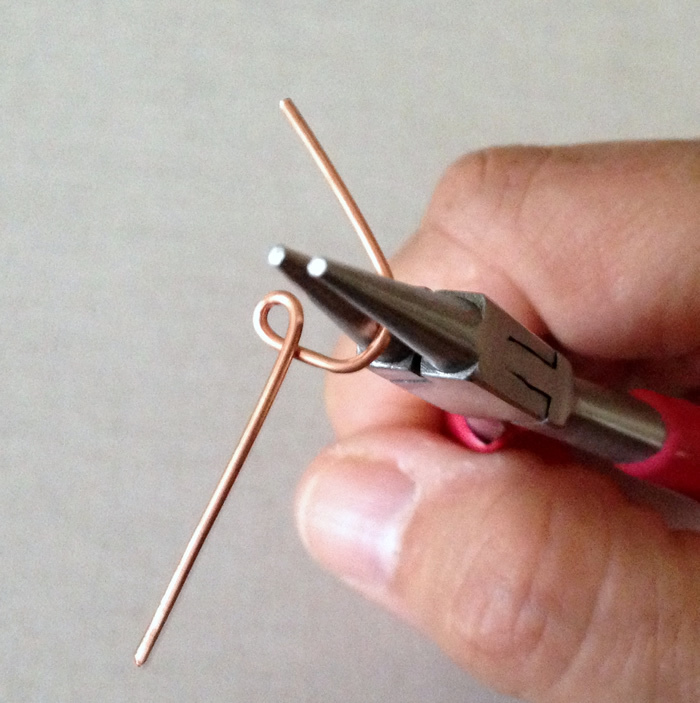 Grasp one wire with the thickest part of your round nose pliers right next to the loop. You are going to start to gently bend the wire over the barrel. 6. The way I do this is to bend the wire a little, then slide my pliers further away from the center loop and keep bending slightly until I have a gentle curve. 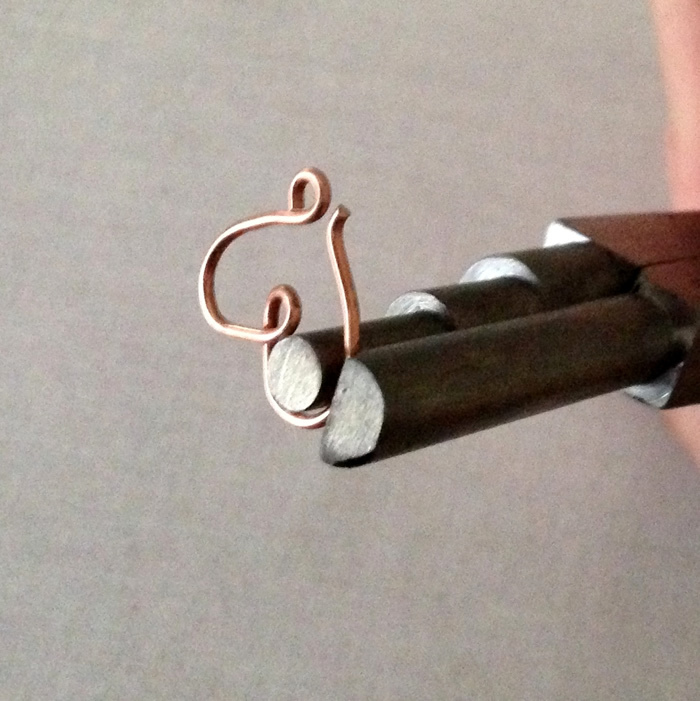 If you wrap the wire tightly around the barrel, your curve will be too sharp. This way you make little adjustments and are hopefully coming out with a smooth curve. 7. Once you have half a heart, repeat the process on the other wire. 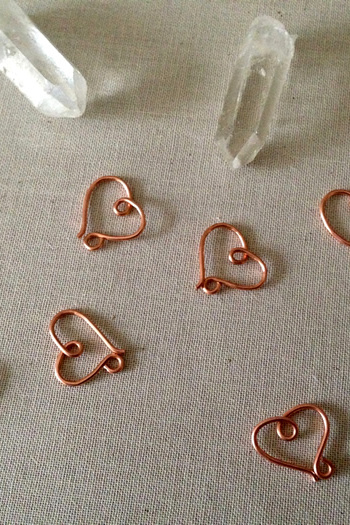 Make gently bends around the round nose pliers to form the other half of the heart. 8. Ta da... It's getting there! 9. 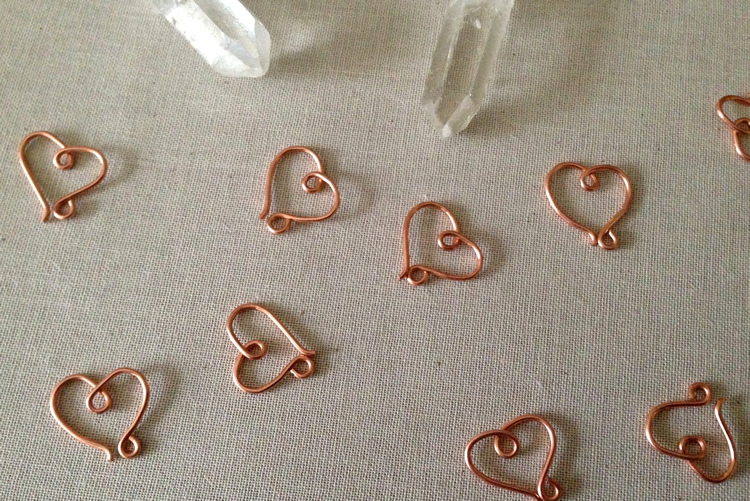 Continue to make adjustments until you have a heart shape. I try to join the wires so one wire is slightly longer than the other. The longer wire is where I will make the loop to join the clasp to the jewelry. 10. Make a simple loop on the longer end of the wire. 11. Turn out the other end of the wire ever so slightly to form a catch. This will help someone guide the jump ring into the clasp. 11 Now it's time to clean up the shape of you clasp. I use these nifty Three Step Wire Looping Round Nose Pliers 5mm, 7mm, 10mm. They have a small jaw that fits perfectly to help clean up the round shape at the top of the heart. 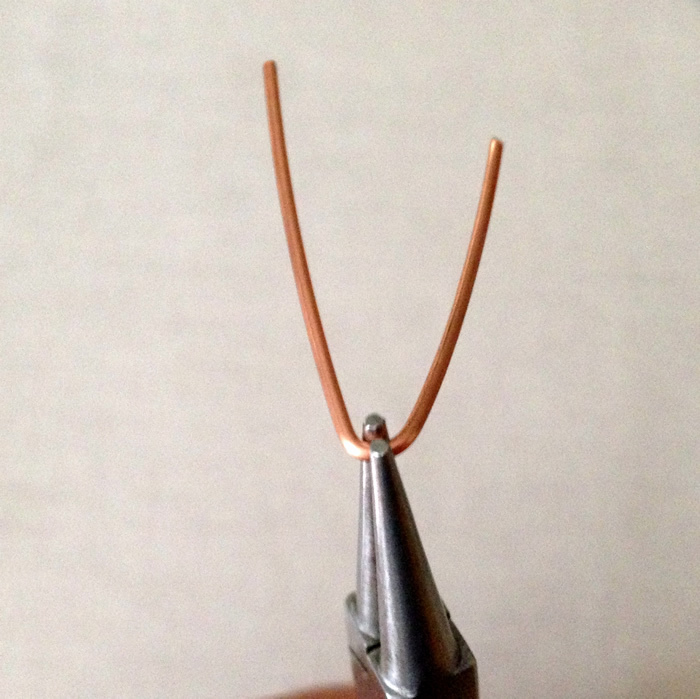 If you don't have pliers like this, you can use any stiff round item of similar size, like the top of a pen. 12. Your clasp is done! But it's not ready to use yet! 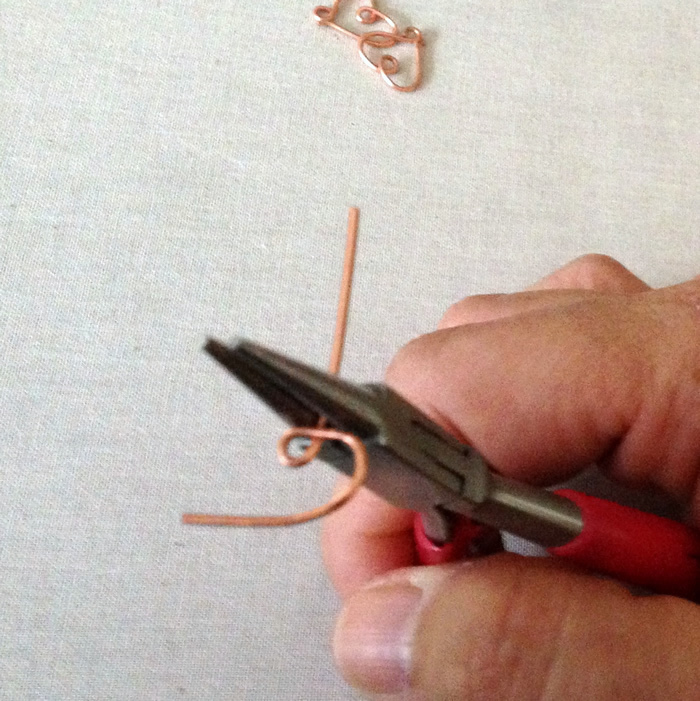 In order for the clasp to be sturdy enough, the wire needs to be work hardened. You can do that by lightly hammering the wire on a bench block or anvil or by putting the clasp in a tumbler with stainless steel shot. Now add your clasp to something fabulous! In this case, it's the infinity link chain I made the other day. Get notified of my new posts by email, twitter, on facebook, or whatever other social media you like to use. Follow the appropriate link and you'll get wire and jewelry projects delivered direct when they are posted. Perfectly timed to the upcoming holiday, Lisa! I just made a bracelet with this clasp in sterling silver for a good friend. Thanks for sharing. Thank You Lisa, for a great tutorial. Really nice tutorial. Thank you! 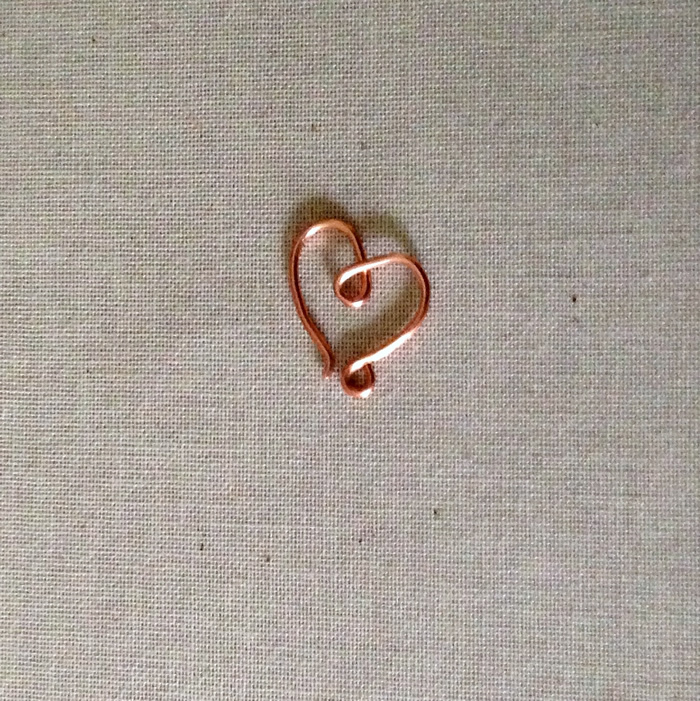 If I'm using 16g copper wire instead of 18g, should I try using more than 2 3/8" of wire to make the heart clasp. I'm having a hard time making it look like a heart. 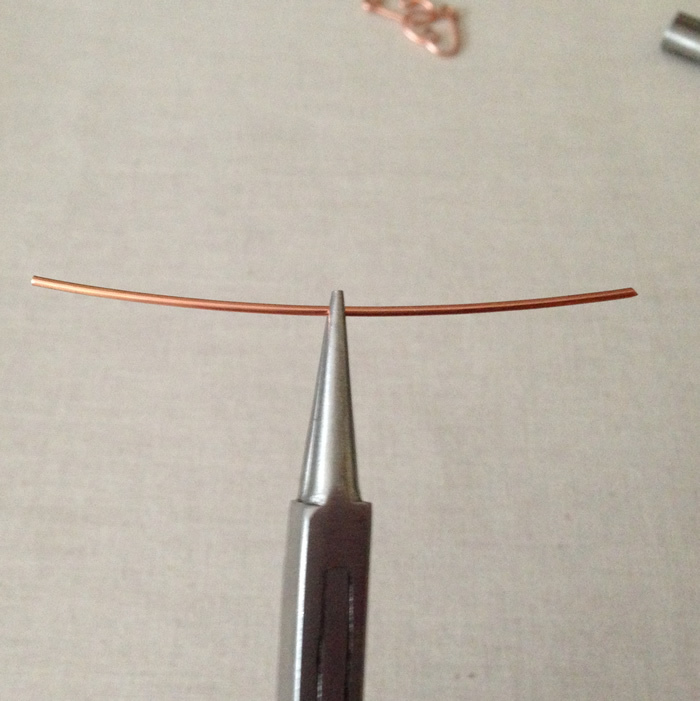 Yes, when you are using thicker wire, you will need a larger piece and may even need to make the finished piece a little bigger. 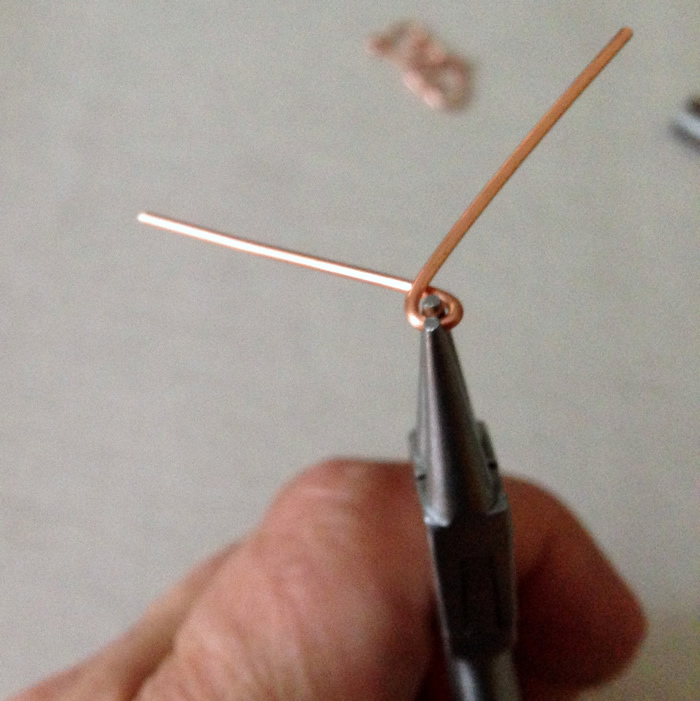 16g copper is probably a little more difficult to bend smoothly, but I'll bet it will work with some practice.